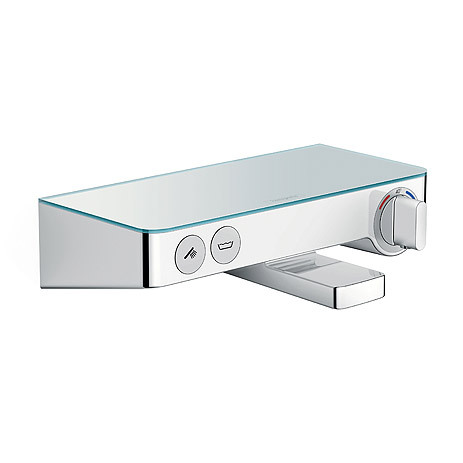 Hansgrohe has integrated its innovative push button technology into an exposed installation thermostat, and now presents the ShowerTablet Select 300. Because a thermostat featuring buttons that you press (instead of turning them) is more user-friendly. Not only is its extra convenience ideal for children, older people and those with limited mobility. Absolutely everyone will love it because it's so easy. 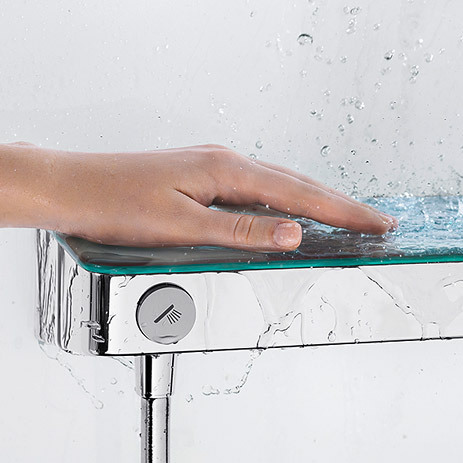 All the control units of the ShowerTablet Select 300 are conveniently located on the front. Large symbols and colour coding also make operation easier. 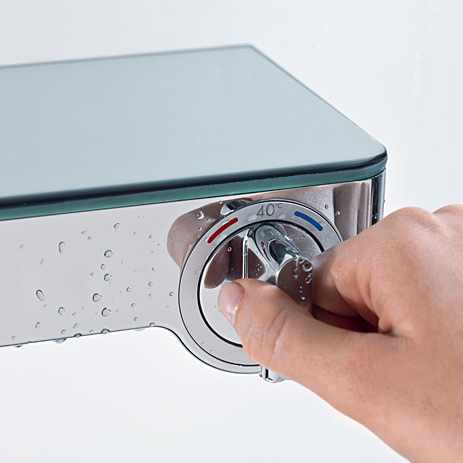 Your customer selects the required temperature from the front via the ergonomic control dial. 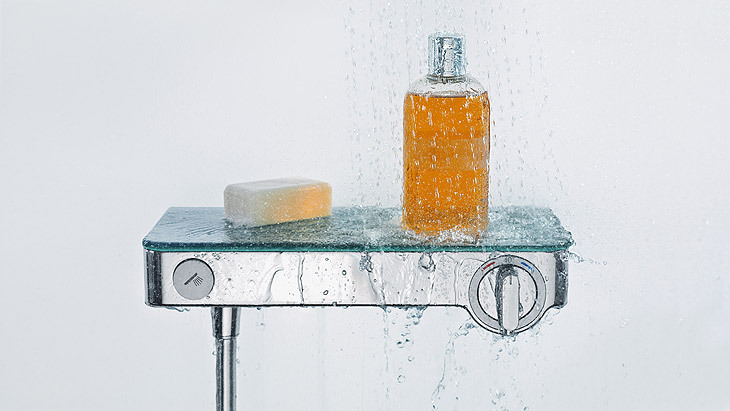 With its 300 mm wide glass shelf, the multi-functional thermostat provides ample space for shower utensils. 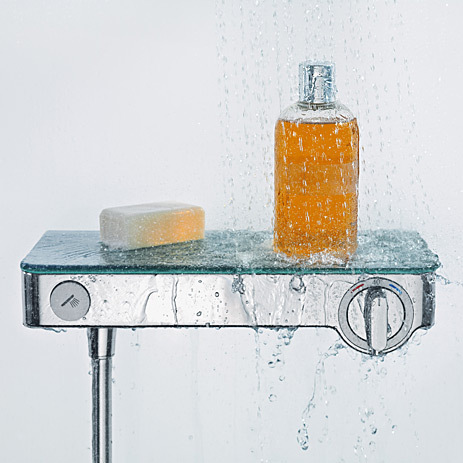 The ShowerTablet Select 300 is combinable. Raindance Select E 120/150 / Unica ’S Puro shower set – beautiful combination of ShowerTablet Select 300 and hand shower. Raindance Select Showerpipes E 300 /S 300 / S 240 – perfect combinations of ShowerTablet Select 300 with overhead and hand shower.